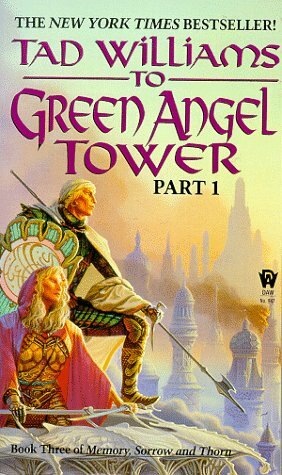 On his official message board today, bestselling speculative fiction author Tad Williams (The Dragonbone Chair, Tailchaser’s Song) posted a progress update on his manuscript of The Witchwood Crown, volume one of his planned three-book return to Osten Ard, “The Last King of Osten Ard”, sequel to the classic “Memory, Sorrow and Thorn” series. Williams revealed that he will have completed 800 pages of the manuscript this weekend. “I’ll crest 800 pages this weekend, I think, God willing and the river don’t rise,” he wrote, after much flooding in the Bay Area. The page count likely refers to manuscript pages rather than published book pages. 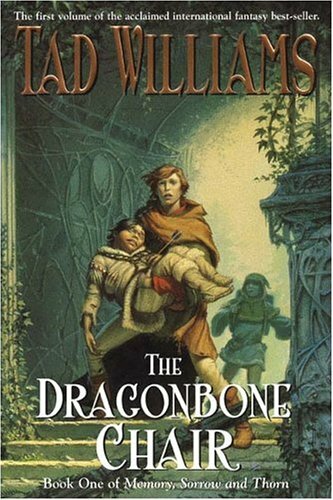 Williams, one of the most respected names in speculative fiction and whose fans include Christopher Paolini and George R. R. Martin, also released a partial character list for the new series, 34 of which are new characters, and the remaining 18 are characters who originally appeared in “Memory, Sorrow and Thorn”. Several of these 18 listed characters died in the original series, so they are likely only mentioned in passing in the new book, rather than zombie resurrections, although Williams has been known to resurrect characters who were long thought dead, as fans of his work well know. 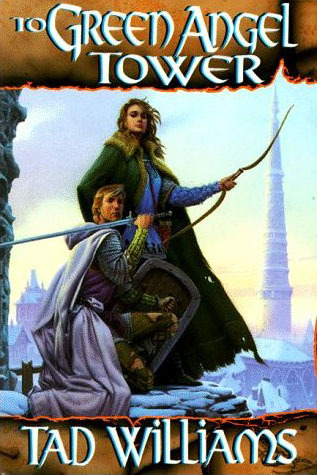 Simon, Binabik and Miriamele will be returning in “The Witchwood Crown”, Book One of “The Last King of Osten Ard”. Returning characters include fan favorites Simon, Miriamele, Binabik, Aditu and Jiriki. Also apparently returning, at least as mentions in the book, are Duke Isgrimnur, Prince Josua, Tiamak, Lady Vorzheva, Pasevalles, Akhenabi, Jeremias, Count Eolair, Prince Hakatri, Sisqinanamook, and of course everyone’s favorite 10,000-year-old ice queen Utuk’ku Seyt-Hamakha, who is believed to be a major antagonist in the new series. Unmentioned in this announcement are Derra and Deornoth, the twins whose respective prophesies caused over 20 years of fan speculation while Williams wrote other novels. Williams has confirmed in previous announcements that Derra and Deornoth will appear in the new series. The Witchwood Crown, the highly-anticipated first book in the new Osten Ard sequel series, is tentatively scheduled for a Spring 2016 release by DAW Books, publisher in the United States, and Hodder and Stoughton, the publisher in the United Kingdom. This will give the publishers time to edit what promises to be a lengthy manuscript, promote the book in international markets, and commission appropriate cover art on both sides of the Atlantic. An official release date for the first volume has not yet been set.